Gurmukh, an internationally renowned yoga teacher, outlines the spiritual and physical practices of Kundalini Yoga, which she has taught for the last thirty years. With illustrated, step-by-step instructions, she teaches the basic principles of the ancient art of yoga, and explains the eight chakras, which are the energy centers of our bodies, and the source of the eight human talents. Kundalini Yoga is a great way to get your body and mind into shape. 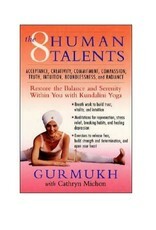 In The Eight Human Talents,Gurmukh gives you all the tools you need to increase your creativity, intuition, compassion, health, and prosperity. All you need is a belief in the possibility of change and a commitment of as little as three minutes a day. 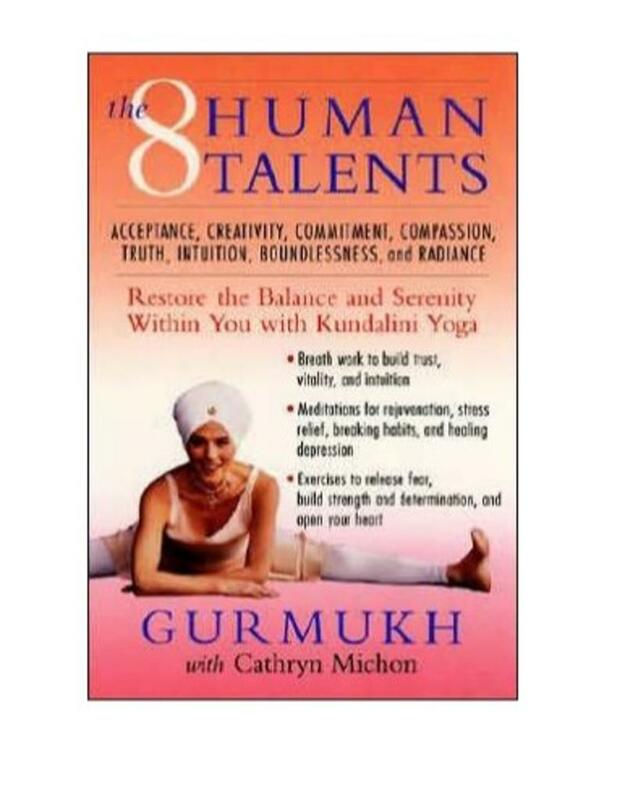 From teachers and waiters to Hollywood celebrities, Gurmukh has helped thousands of people find happiness through the healing movements and meditations of Kundalini Yoga -- and she can help you, too!